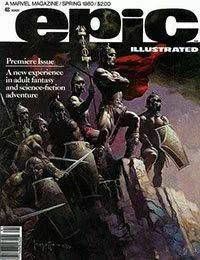 Epic was a Marvel Comics magazine that featured groundbreaking artwork and stories that focused on a market for more mature readers. According to the Marvel Bullpen Bulletins from October 1979, the comic was originally supposed to be named Odyssey, but was renamed after Marvel found out a comic with that name was already being published by another publisher. It was then renamed Epic instead. The series would become a huge success and was even followed by its own Epic imprint some months later. Many of the individual stories contained within have since been published in trade format among many different publishers.